I'm getting ready to complete another sprint triathlon this weekend! I am super excited about it and decided that this was the time to get my own bike. One of my friends loaned me her bike for my first tri and while I totally appreciated the bike, it's not a made for road racing. So after some research and advice from friends, I went and got me a bike! Well, it wasn't that simple. Kylie and I went to a couple of different bike stores and at one place, we couldn't even get a worker to acknowledge that we were in the store!! Sorry, but I'm not spending hundreds of dollars in your store when you can't be bothered to even say hi! So we ended up at Performance Bikes. They were FABULOUS!!! I could not be more pleased with their attention and efforts to get me on the right bike! In fact, at one point it looked like the bike that really would be best for me wasn't available to them any longer, but a competitor down the street said they had one. They told me that while they would love to help me, they wanted what was best for me. So they sent me over to the competitor store with the list of specs. Turns out the competitor lied. Yep. So glad I had the list or I wouldn't have remembered the details. When I pushed the salesperson about it, he said.. "well, we just told them that we had something "similar", not that we had THAT bike." So Kylie and I loaded back up and went back over to Performance Bike. Side note: while I spent an hour trying different bikes, they let Kylie ride around the store on the three kid bikes and talk to all of the workers! She LOVED the store. That helped tremendously! In the end, they fitted me for a bike that is awesome for me. It's an entry level racing bike, which means if I ever get like super fast and all that, I'd have to upgrade, but since that's not likely, I think this bike is perfect for me. So what bike did I get? A Fuji Sportif. I know that there are lots of numbers and codes and such that go with it, but all I can give you is the name and that it's blue! Ready for my first ride. 10 miles done.My time was way faster and I'm still learning how to change gears! I can't wait till Sunday! 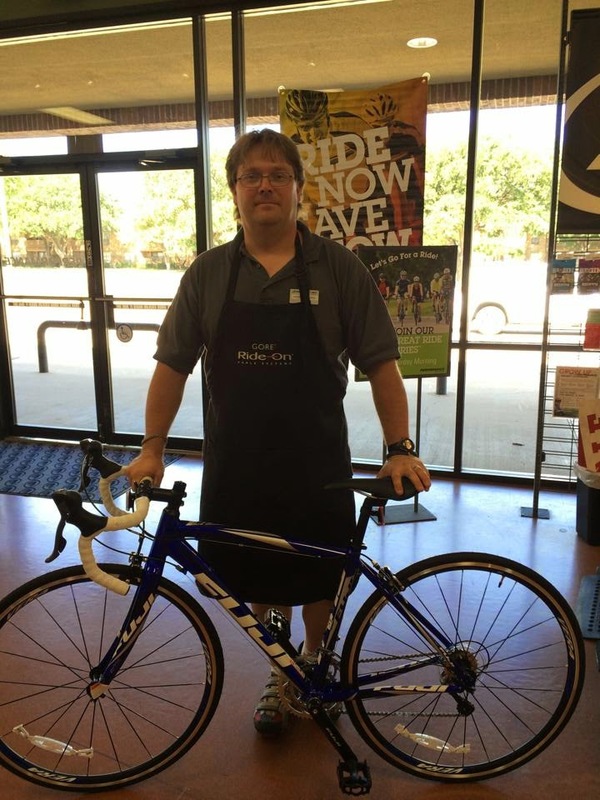 So all of that to say, if you need a bike, I would highly recommend Performance Bike in Fort Worth, Texas on Hulen St. I get no kickback for sending you, but feel free to tell them that I sent you! They might not remember me, but I'm sure they will remember Kylie!